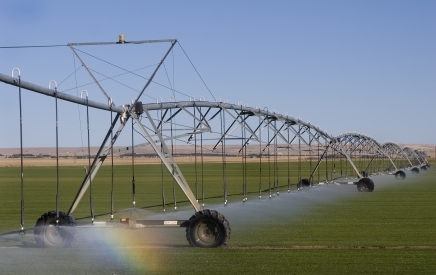 The study investigated the potential of irrigation development within the Municipal District of Acadia No. 34. Development scenarios of 13,600, 22,000 and 27,000 acres were investigated along with a pumped river diversion system pipeline, reservoir storage, canals, gravity pipelines and pressure pipeline systems. 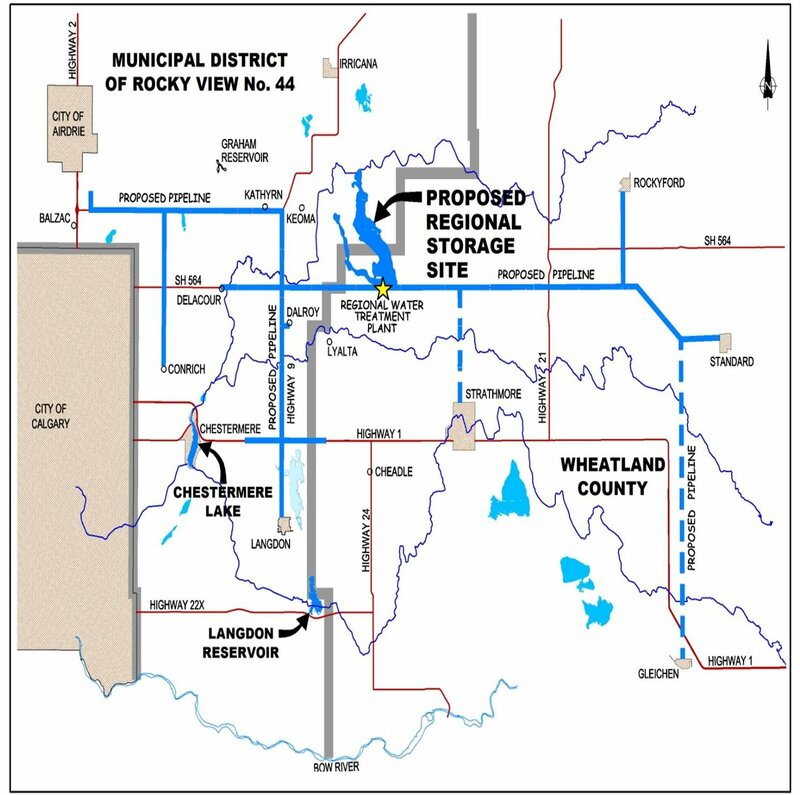 Development of municipal potable water servicing infrastructure for communities with potential to be supplied by the proposed Regional Water Storage Project (Bruce Lake). Completion of an irrigation rationalization plan for the District assessing existing and potential irrigation development. Completion of long range infrastructure rehabilitation plan including a condition assessment evaluation of existing infrastructure and development of long and short range (five year) rehabilitation plans. 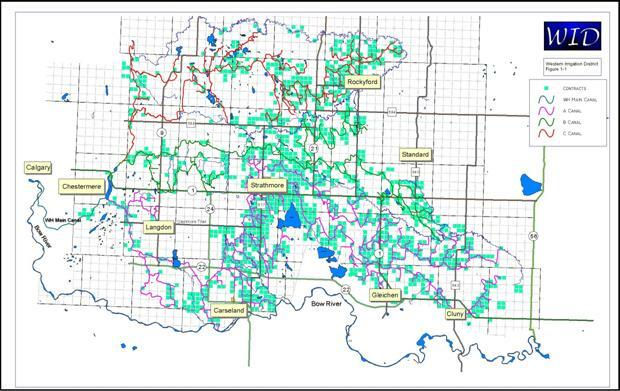 Various planning studies involving potential reservoir storage sites, storm water management and system optimization. 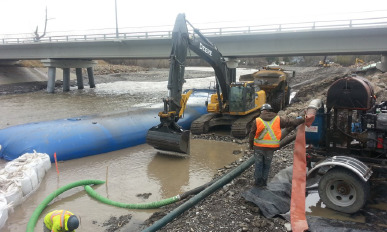 Rehabilitation of canals (lined and unlined), water control structures and pipeline systems.